Bake your favorite bread recipe (we used the whole wheat blueberry bread recipe below). Slice up loaf into sticks. Lay bread “sticks” onto cookie sheet. Put in oven at 170°F, for about 1 hour. Then turn off the oven and letsit in the oven until sticks are crunchy throughout. Bananas – They may feel heavy, but bananas do not make you gain weight. Quite the opposite: They’re loaded with filling fiber and potassium, which helps relieve water retention. Cantaloupe – This orange melon is full of anti-bloating potassium, low in calories, and has a high water content, so you can get away with eating a lot of it. Leafy greens – Some veggies, such as Brussels sprouts, are filled with important nutrients, but nonetheless make you bloat. Leafy greens, like kale, spinach, and lettuce, do no such thing. They’re all super-low-cal, loaded with fiber, and help ease water retention. Oatmeal – The secret ingredient? Fiber, which helps keep you full without puffing you out. Sprinkle on cinnamon and breakfast is served. To find out about the other 21 foods, click here. 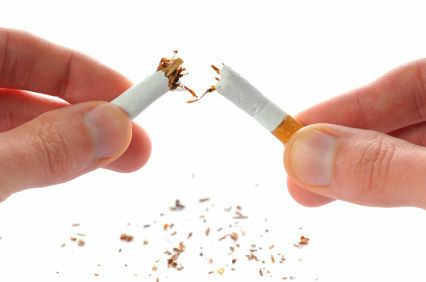 May 31 is World No Tobacco Day and the DuPage County Health Department reminds smokers that they can get help to quit by calling the Illinois Tobacco Quitline. Join Team TEAL and Raise Awareness While you Run! Team TEAL members are running in both the Chicago Half Marathon and Hyundai Hope on Wheels 5K on September 7th in Chicago’s Jackson Park. Each team member receives a charity registration discount for their race entry, a Team TEAL technical running shirt, personal fundraising page, and team training opportunities. Team TEAL members are striving to raise awareness and funds to fight ovarian cancer. Each time you run wearing a NOCC shirt, train with the team, or ask a friend to support your efforts brings us one step closer to reaching our goal. All Team TEAL members receive a free workout pass for the month of June courtesy of our sponsor, Crosstown Fitness. Members must register by June 15 to be eligible for this team benefit. Register soon to make the most of this offer! Register for Team TEAL at nocc.kintera.org/TeamTEAL by July 15th to be guaranteed a running shirt and allow yourself time to meet your fundraising goal. http://healthylombard.com/wp-content/uploads/2016/08/hl-logo.png 0 0 may http://healthylombard.com/wp-content/uploads/2016/08/hl-logo.png may2014-05-28 06:27:542014-05-28 06:27:54Join Team TEAL and Raise Awareness While you Run! Check it out below and then use the link in the top bar to register. Do you or a loved one suffer from sciatica, radiating disk herniation or a pinched nerve? Are you convinced that surgery may be your only option? Actually, in cases of nerve pain, reports show that fewer than 5% of people are candidates for surgery. When: Monday, June 2nd, 7:00 p.m. This event is part of National University of Health Sciences’ “Get Educated” series on important health issues. Jenny Sugar from POPSugar Fitness posted that a bowl of cereal makes the perfect breakfast. It’s fast, easy, and inexpensive, and the right bowl is a good source of fiber, calcium, and protein. But if you make the wrong choices, your cereal may actually be contributing to weight gain. Avoid these mistakes when it comes to your morning bowl of cereal. Your bowl is too big: Depending on the box of cereal you choose, a serving size is about three-quarters to one-and-a-quarter cups. If you use the biggest bowl you have and just mindlessly pour, you could be devouring close to 500 calories. You’re a little nuts: Sliced almonds, pecans, and walnuts offer healthy fats and protein, but they’re also pretty high in calories. Two tablespoons of walnuts is almost 100, so be mindful about how nutty you get. You’re using a bottomless bowl: You measure out a serving of cereal, pour in the milk, and spoon away. But when you get to the bottom of the bowl, you have so much milk left, you have to add a little more cereal. But you add too much, so you need to pour in a little more milk. It’s a vicious cycle. Just drink the last of the milk and call it a day. You load up on dried fruit to up the fiber: Raisins, dates, banana chips, and dried cherries do offer a little bit of fiber, but because they contain hardly any water, dried fruits are super calorie dense. A quarter cup of dried cranberries is over 100 calories. You’re better off using fresh fruit since it’s lower in calories and higher in fiber, and the high water content will fill your belly up, so you actually end up eating less. You’re in love with low-fat milk: The more fat in your milk, the more calories. One cup of whole milk contains 150 calories, and two percent has 120. If you go for nonfat skim milk, it’s only 90 calories. It may not seem like a big difference, but over time, those calories really add up.You’re still into kids cereal: Lucky Charms, Cocoa Pebbles, Apple Jacks, Froot Loops — they might be sweet and tasty, but they contain tons of sugar and hardly any nutrition. That means you’ll polish off your bowl and an hour later, hunger will have you reaching for more food, which will end up packing on the pounds. Choosehealthy cereals like these that are high in both fiber and protein to keep you feeling satisfied for hours. You’re still into kids cereal: Lucky Charms, Cocoa Pebbles, Apple Jacks, Froot Loops — they might be sweet and tasty, but they contain tons of sugar and hardly any nutrition. That means you’ll polish off your bowl and an hour later, hunger will have you reaching for more food, which will end up packing on the pounds. Choosehealthy cereals like these that are high in both fiber and protein to keep you feeling satisfied for hours. 1) Name of the food/meal – Having a creative name for your foods will make them more appealing for kids. Some examples are X-ray Vision Carrots, Super Strength Spinach, Super Tuna Noodles, Big Bad Bean Burrito. This makes it fun for the kids, so even try choosing the names of your meals together. 2) Appearance – Appearance is always the most important. We all know if it doesn’t look good, kids won’t eat it. So look to presentation as well, how the food is presented on the plate will matter. Be sure to arrange your meal using the MyPlate image, and ensuring that your plate is very colorful by filling half your plate with fruits and veggies. Add garnish as needed to jazz up the meal (slice of avocado or strawberries). 3) Flavor – Go easy on the salt. You really don’t need too much salt to add flavor, but can add other types of herbs or spices to accent the meal. Some kids prefer a more “bland” flavor, so offer any spices or sauces on the side to add as needed. 4) Texture – Texture also makes a big difference, especially if foods are over or under cooked. You also want to look at the types of textures that you have in your meal. Don’t just provide all soft foods (noodles, mashed potatoes, soft cooked carrots), but try alternating the textures to add more of a variety. 5) Adding more Fruits – We always want to offer whole fruits so that kids know what they are eating and grow accustomed to choosing a variety of fruits as a healthy snack. But serving fruits creatively by arranging them as mixed fruit or fruit art makes it more appealing to eat. Click here for the full list of tips. May is National Arthritis Month and the DuPage County Health Department would like County residents to be aware of the surprising facts surrounding this common disease, which can be costly and painful. Arthritis is the nation’s leading cause of disability, affecting one in five adults. There are over 100 joint diseases that can affect the entire body that fall under the umbrella term of Arthritis. In an effort to raise awareness about arthritis, here are some surprising myths and facts that surround the disease. Myth: Arthritis is a disease associated with aging. Fact: Arthritis can affect people of all ages. Two-thirds of people with arthritis are under the age of 65 and some of the most serious forms of arthritis occur in teenagers or people in their 20s and 30s. Myth: Only old people get arthritis. Fact: Children get arthritis, too. Nearly 300,000 children are affected by arthritis. Myth: Arthritis is just aches and pains. Fact: Arthritis is a more frequent cause of activity limitation than heart disease, cancer or diabetes and causes work limitations for nearly one in three people in the U.S. Myth: Cold weather makes arthritis worse. Fact: There is no scientific evidence that a particular climate is better for people with arthritis, but changes in barometric pressure, often associated with inclement weather, may affect people with arthritis. Myth: There is nothing I can do about arthritis. I just have to “live with it.” Fact: Early diagnosis and management can prevent the long term pain and disability seen with many kinds of arthritis. POPSUGAR shared that if you want to see changes in time for Summer, flipping through a magazine on the treadmill most days isn’t going to cut it. The truth is, you need to be constantly improving your fitness level, most trainers say. That means cranking up the speed, adding one more rep, and pushing past your comfort zone.